Do you think your metabolism is broken? Would you like to get healthy and fit? Would you like to lose 10, 20, 30 pounds or more, and learn how to keep it off without starving yourself? My name is Adele Frizzell and I’m an online health coach who empowers women to become healthy, fit, and unstoppable. I help hard losers, yo-yo dieters, busy moms, and people with slow metabolisms. I can help YOU lose weight, get fit, and learn how to stay lean without killing yourself in the gym or depriving yourself of foods you enjoy. Every BODY is unique, and so I work 1:1 with my clients to help them with their fat loss and fitness goals. Some people are better suited, physically and psychologically, to rapid weight loss while others are better suited to a slower approach. Some people love cardio, others love lifting weights. Some people hate to exercise, and so I help them find activities that they enjoy. I am here to support you, educate you, and keep you accountable on your health journey. Whichever path you choose, I will help you lose weight and build new, healthier habits so you never have to diet again. Ready to become healthy, fit, and unstoppable? The Transformer Group Program is only offered 2 times a year. This 90-Day coaching package is designed to help you get leaner and stronger by teaching you about flexible dieting, exercise, and habit change. If you want to lose weight, you can expect to drop anywhere from 5 to 30 pounds. You’ll feel healthy, fit, and unstoppable, and build the nutritional knowledge and habits you need to keep the weight off forever. Enrollment for the next program begins September, 2019. Only 12 spots are available. Please join my mailing list to be notified as soon as registration opens. The Transformer VIP Program is a high-touch, 1:1 coaching package for my private clients. It’s the same lessons and materials as the group program but there’s more individual attention. This program is perfect for anyone who wants to lose weight, or has already lost weight and is afraid of gaining it all back. 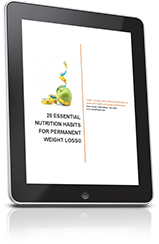 You’ll learn about flexible dieting, exercise, and habit change. You’ll feel healthy, fit, and unstoppable, and build the nutritional knowledge and habits you need to keep the weight off forever. Spots are subject to availability. I only take 5 new private clients a month to ensure everyone gets my time. Want to see if the Transformer Program can help you? Book a free strategy session! I achieved my goal weight in only 8 weeks and I fit in jeans I hadn’t worn in five years! Adele gave me the kickstart I needed to feel better. Adele is positive, gives really good feedback, and is a great role model. Her approach to weight loss is healthy and safe. I’ve lost 60 pounds. I’m blown out of the water with how much I’ve learned. I no longer fear regaining all the weight – Adele has given me the tools to know just what to do to keep the weight off. I would recommend her services to anyone who wants to lose weight or get fit and/or healthy. I recommend Adele’s services to anyone who is ready to cut through all the nutrition B.S. that’s out there and feel more in control of their health and food choices. She preaches moderation, not extremes, and tuning in and listening to yourself, and I believe this is the key to my progress.